Nathan and Gabriela are working to inspire, train, equip and lead Albanians to proclaim the Gospel and make disciples in Albania. They feel a tremendous urgency to follow Christ's command to make disciples of all nations in this land where less than a generation ago, complete atheism was enforced by the totalitarian communist government. Albania is one of the fastest changing countries in the world as it moves to integrate economically and culturally with Western Europe. The Orthodox Church of Albania has experienced a resurrection under the inspired leadership of Archbishop Anastasios. This resurrection is one of the miracles of the Orthodox world today but it is a fragile miracle and there is still much work to do. 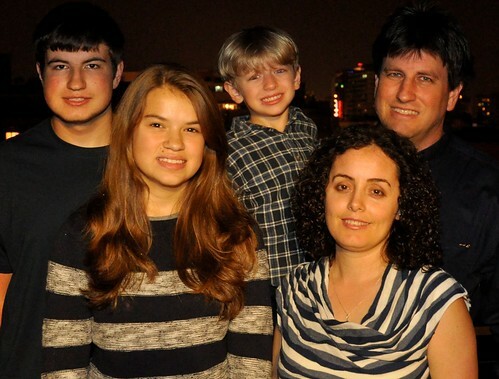 The ministry of the Hoppe's is focused on seminary students, university students and children. Nathan teaches the early church fathers at the Resurrection of Christ Theological Academy and leads the ministry to students at the University of Tirana. Nathan also directs the Central Children's Office of the Orthodox Church of Albania, a ministry in which he works closely with Gabriela. He represents the Orthodox Church of Albania at a number of international gatherings including the official dialogue with the Roman Catholic Church and the dialogue with the Lutheran World Federation. Nathan also serves on the steering committee of the Lausanne-Orthodox initiative (LOI), is a member of the Advisory Council for World Vision Albania and is on the board of the Inter-Confessional Bible Society. Together Nathan and Gabriela lead a team of 25 Albanian Orthodox youth to Kosovo each year where they hold friendship camps for about 1500 Muslim Albanian children. These camps are part of the social and philanthropic work of the Orthodox Church of Albania. Nathan was born and raised in Colombia, South America, where his parents continue to serve as missionaries. He is a graduate of Wheaton College and Holy Cross Greek Orthodox School of Theology. Nathan has now served in Albania for more than 16 years. Gabriela, a native of Albania, is a graduate of the Resurrection of Christ Theological Academy and the University of Tirana she also holds a master's degree in Children's and Family Ministry from Bethel Seminary. In addition to her role in the Central Children’s Office, Gabriela devotes much time to her important responsibilities as wife, mother and homemaker. Please partner with the Hoppe's through financial and prayer support. Long-term missionaries are not supported from the general fund of OCMC so the Hoppe's would be grateful if you can participate in their support by making a pledge or sending a one-time gift designated for "Hoppe family".